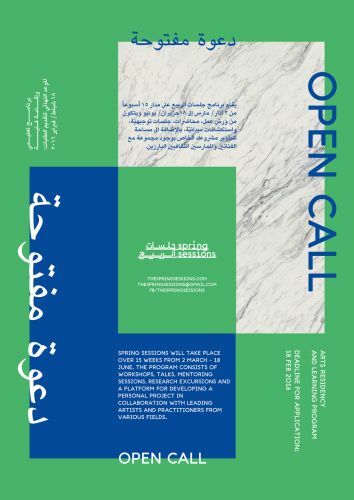 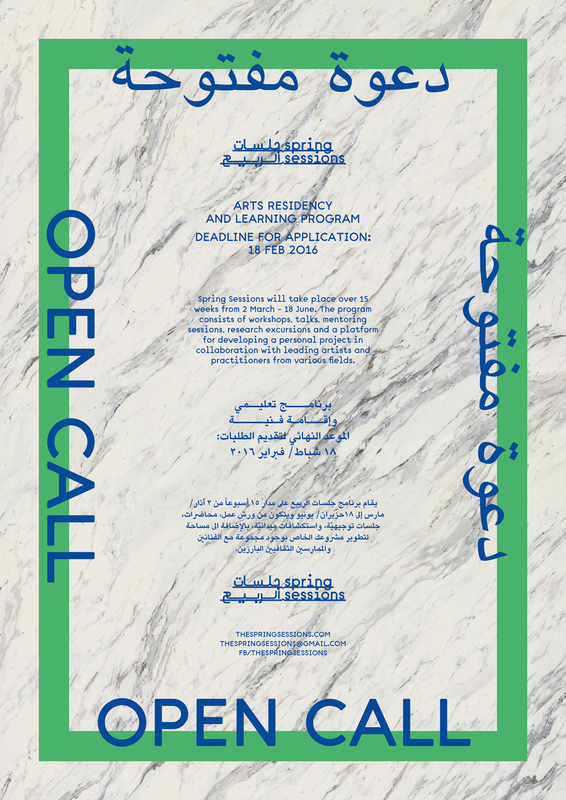 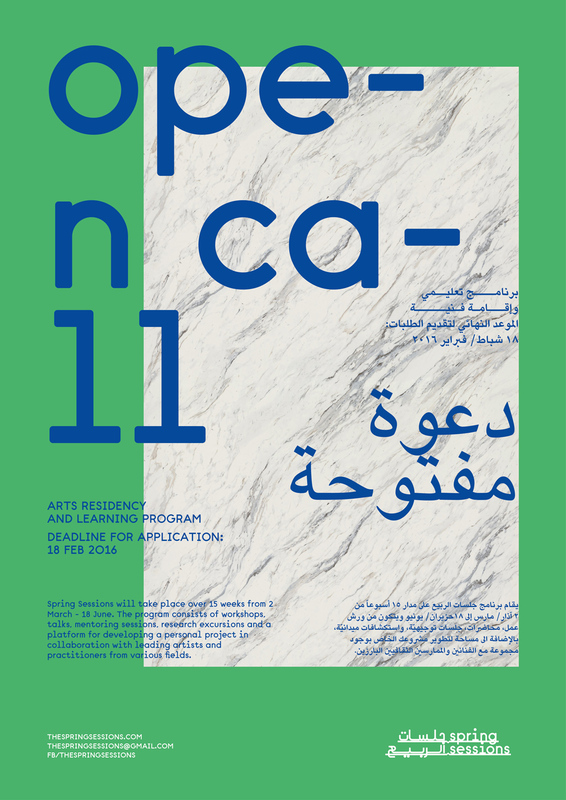 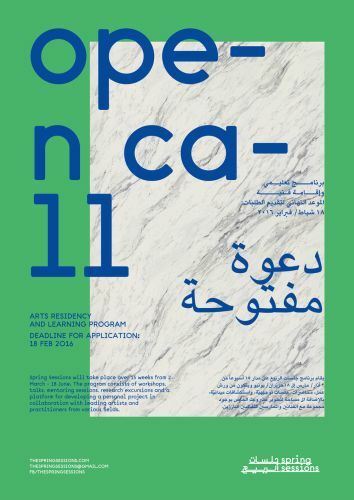 Spring Sessions is an experiential learning program and arts residency based in Amman. 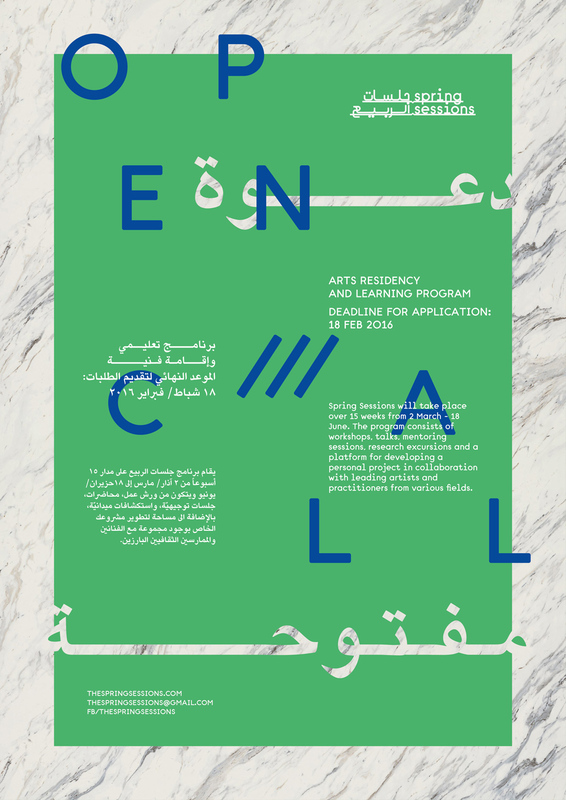 The program seeks to bring emerging and established cultural practitioners together to create and share their work and outlooks. 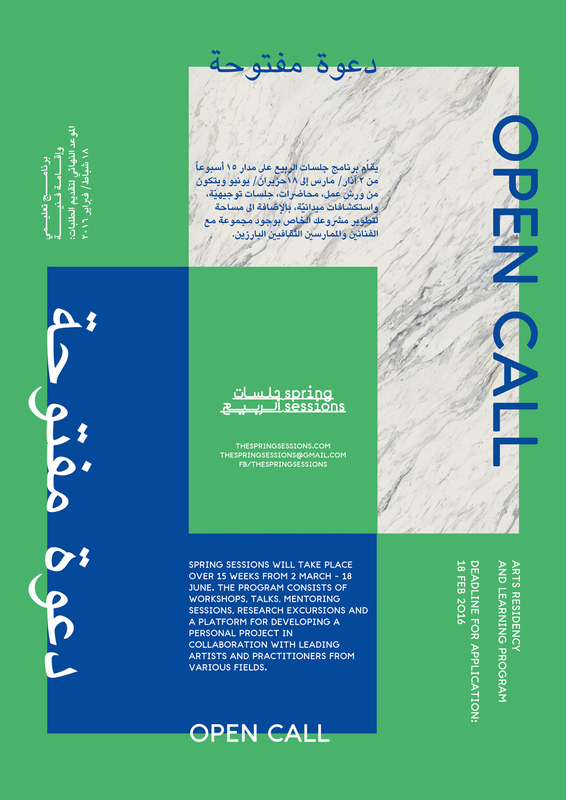 The purpose of the sessions is to expand fields of knowledge, foster creative working skills, and encourage participants to question existing paradigms by experimenting outside of traditional modes. The 15-week program consists of a series of workshops and other activities encouraging participants to research and realize, collaboratively or individually, ideas related to the sessions. 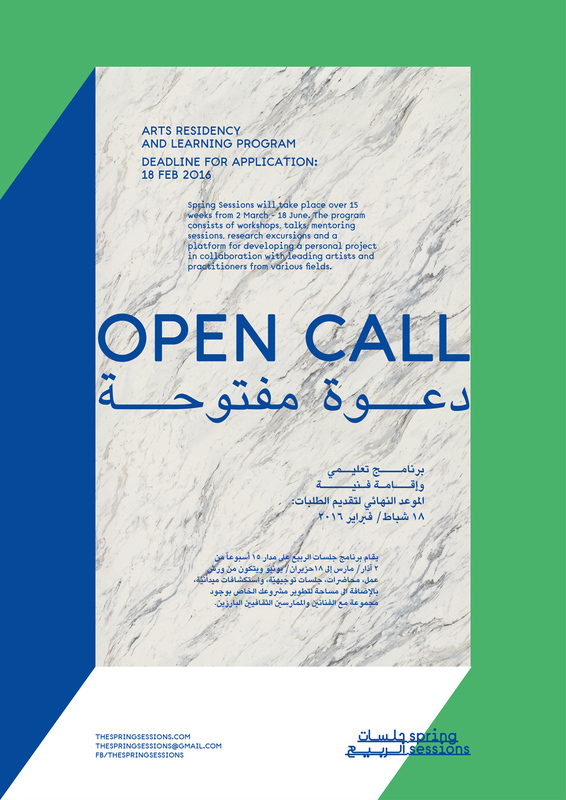 The posters were developed for the 2016 edition open call.